For those concerned about the recent global rise of populist anti-migrant rabble-rousers, an election in Australia over the weekend provides a glimmer of hope. Right-wing firebrand Pauline Hanson's One Nation party appears to have received only 5 per cent of the vote in the state election in Western Australia, and is on track to win just one seat out of 59 in the lower house. The party's momentum came to a crashing halt on Saturday, following a strong performance in last year's federal election when it won four seats. 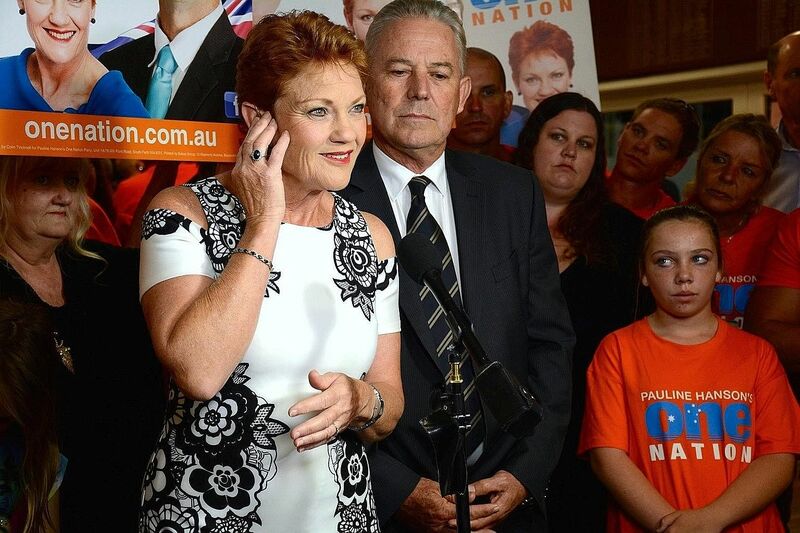 The polls result was described by commentators as a "shocker" and has raised serious questions about Ms Hanson's political judgment. Politicians from both the federal ruling Coalition and the Labor opposition party said yesterday the outcome indicated deep public reservations about Ms Hanson. "The mob have worked (her) out," said Labor MP Anthony Albanese. "She's good at identifying problems and grievances but she doesn't provide solutions." Ms Hanson, a federal MP from the north-eastern state of Queensland, is known for her staunch opposition to Islam, migration, foreign investment and free trade. Mr Turnbull said the downfall of the Western Australia premier was not related to federal issues. Boldly declaring recently that the party was set to win five seats in Western Australia, she flew across the country to spend a week campaigning. But her appearance in the nation's west only appeared to drain support for the state party, especially after she made controversial comments supporting Russian President Vladimir Putin and suggesting that parents have babies "tested" before having vaccinations. Opinion surveys indicated her party's support dropped from 13 per cent last month to 8 per cent last week, and to just 5.4 per cent at the ballot box on Saturday. Commentators suggested that One Nation suffered badly from a vote-swopping deal it made last month with the Liberal party. Ms Hanson, who likes to present herself as an anti-establishment crusader, has expressed strong support for United States President Donald Trump and for Britain's recent vote to leave the European Union. But the backroom deal with the Liberals seemed to have hurt her party's anti-establishment credentials. "Doing the deal with the Libs has done damage to us," Ms Hanson said on Saturday. "All I heard all day leading up to this election was 'why are you sending your preferences to the Liberal Party?' "
Federal Liberals were divided over the deal, particularly as the party has spent decades shunning One Nation. Federal Liberal MP Tim Wilson said yesterday on Twitter: "Shouldn't follow Putin-fawning PHON (Pauline Hanson One Nation). We are not PHON-lite. We are Liberals, and proud of it." The election on Saturday also resulted in a heavy backlash against the ruling Liberal-National alliance led by outgoing state premier Colin Barnett. With 67 per cent of the vote counted yesterday, Labor was set to win 40 seats and the Liberal- National alliance was due to win just 19. It was one of the biggest election swings in the state's history and followed a recent downturn in Western Australia's economy, which has suffered badly from the end of a China-fuelled mining boom. Labor leader Mark McGowan, 49, will replace Mr Barnett, 66, as Premier after opposing privatisation of the state's power distribution network. The result indicates that Western Australia - a typically conservative state - may be shifting towards centre-left Labor. 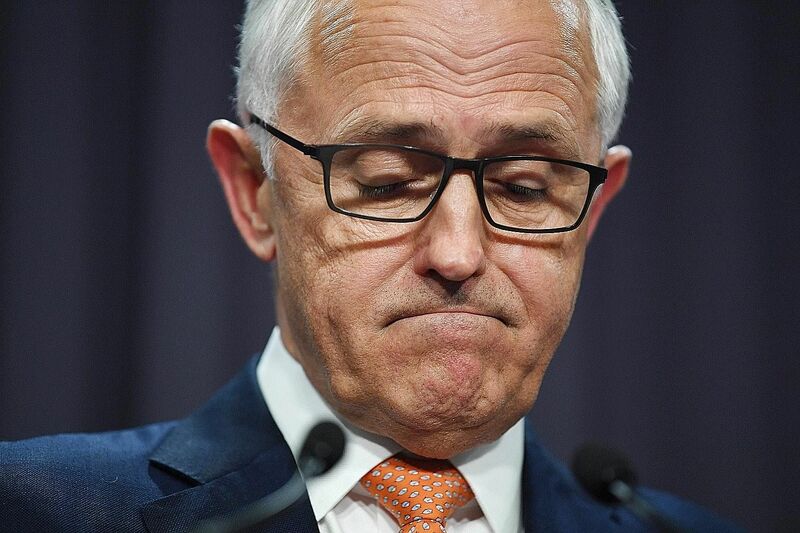 However, Australia's Prime Minister Malcolm Turnbull, who leads the federal Liberal party, yesterday insisted that Mr Barnett's downfall was not related to federal issues. "I think Colin (Barnett) summed it up very well when he said overwhelmingly it was the 'it's time' factor," Mr Turnbull said. "It was a government that, as he said, had been in for eight-and-a- half years. The history is that it's very hard to win re-election after that period of time." Commentators agreed that most voters appeared to have been motivated by state issues and concerns about the local economic decline, including the high unemployment rate and state debt. "It's a hard sell to convince people that while the significant economic downturn (is) due to circumstances the government can't control, the government can nonetheless be trusted to turn the state's fortunes around," Dr Natalie Mast, from the University of Western Australia, wrote on The Conversation website yesterday. Despite the poor result for Ms Hanson, she showed no sign of giving up on her far-flung ambitions. Sounding much like Mr Trump, she denied her party had floundered and insisted they had done "extremely well". "Major parties, no doubt, see me and One Nation as a threat to their political existence," she said.